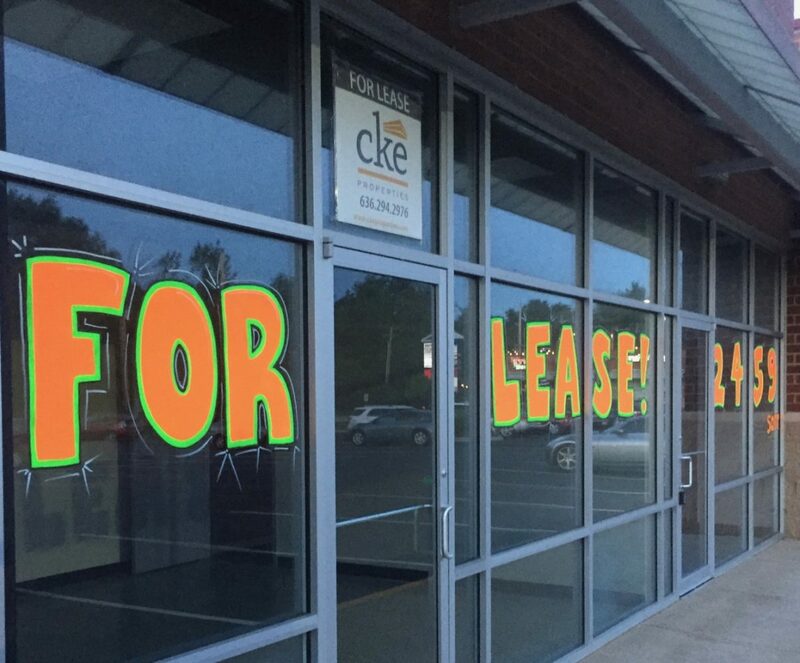 Window Painting for your St. Louis, St. Louis County, and West County business. 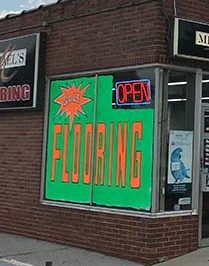 Window Painting attracts new customers for your business through vivid bright colorful lettering and graphics. Bright signs done by our professional window painters will differentiate your business from others next to you. The paint will draw in people with bright colors screaming LOOK HERE! They are hard to miss when driving by. A neon window sign will communicate your specials, sales, promotions, limited time offers, or any message you want to display on your business. Promotional window painting will increase business. We can use any combination of colors for your business, but orange and green can be seen the farthest away. Hire a window painter near you to boost your business ‘s presence in the community today! Call us at 314-757-6973. Proven to increase sales by promoting brand recognition/retention and boosting word-of-mouth advertising. Less expensive than TV, print and radio advertisements, but unlike social media blasts, reaches potential customers’ eyes in moments when their attention is relatively undivided. Greatly improves the visibility of small shops with limited street frontage. It serves multiple purposes—for example, catching the eyes of pedestrians while providing privacy for customers inside the store. Unlike with sandwich boards, awning signs or storefront banners, painted window signs require no special permit in most cases. Company vehicles, painted window signs become free mobile advertising seen by commuters all over town! FLUORESCENT ADVERTISEMENT is a good thing when you’re looking to get noticed. Fluorescent, neon hand painted signs have a proven track record of attracting attention to your business. A neon sign screams LOOK AT ME!!! If you need to be seen a window painting-splash will do it. Why settle for just a sign on your storefront when you can turn the whole storefront into a sign? You’re spending money renting your location, so why shouldn’t you get maximum return from it. 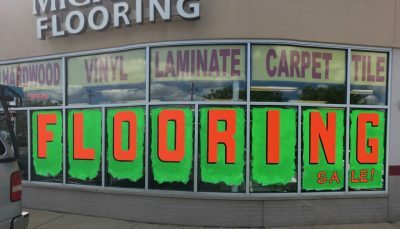 One of the easiest ways to do this is to add window splashes that tie into the message and extend the visual impact of your storefront. We can maximize your exposure on the glass by custom fitting the graphic to your window. This is going to help you get your messages to traffic as it passes by creating more awareness for your business.We can help your business and brand look great with custom painted window splashes.